Orchard House was commissioned by our Client as a place in which to live, work and pursue various hobbies. The Client specifically wanted to create a lasting piece of responsive architecture that was not defined by her use of a wheelchair and where the building interacted effortlessly with the landscape. 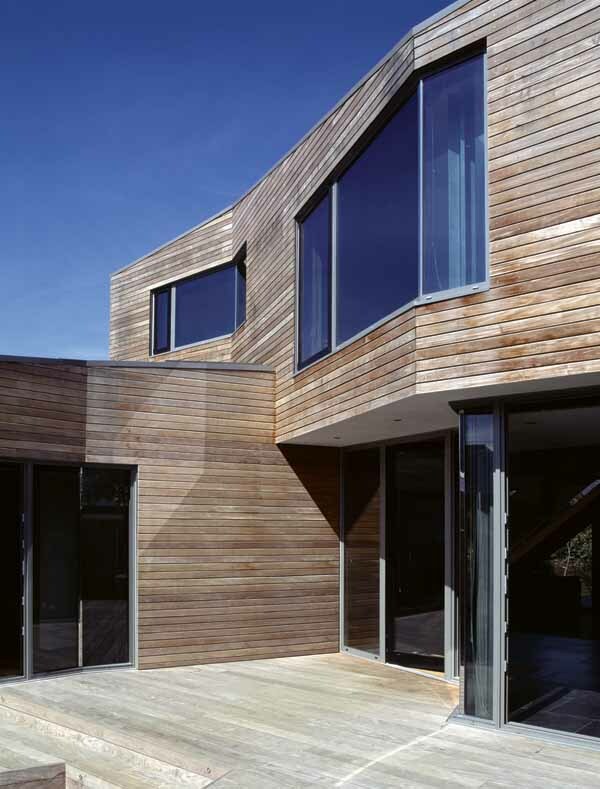 The house has been designed to Level 4 of the Code for Sustainable Homes. Located on the site of a former walled kitchen garden and orchard, landlocked and accessed only by a track from the main road, the house and gardens form a sequence of enclosures that unfold revealing a private interior world reminiscent of the secret garden. The design and materials reference the style of traditional agricultural buildings preserving the original character of the site: the lower storey is rendered and the upper clad in loosely spaced timber slats. An historical ‘boundary’ wall was reinstated, intersecting the house, formed from local limestone. A simple free flowing plan wraps around a glazed central courtyard filling the house with natural light. The shallow plan, careful alignment of windows and a double height gallery allow views to cut across the building to the various gardens enabling multiple readings of the space. Two large sliding doors can be drawn to close down the open plan, shutting off the entrance hall, or library and master bedroom. The upper storey provides an office and second bedroom with screened windows that look out over the historic houses of Calne. A studio was included to the north of the house looking over the orchard garden allowing the client to practise various arts and crafts both inside and out. In the garden, three old fruit trees are planted in an arrangement that suggests a fourth once stood between them. We replaced the missing tree, forming the focal point of the central courtyard.